SIX SCOUTS EARN EAGLE IN THE LAST 3 WEEKS! As the scoutmaster of BSA Troop 300, from Wasilla, Alaska, I'd like to invite any parent and his son to get involved and become a part of Troop 300. We are a troop of great kids and adults doing scouting the way it is intended to be done, getting OUTSIDE, having FUN, and at the same time emphasizing the character traits that have formed the foundation of America's strength and resilience. The ideals of scouting as expressed in the Scout Oath, Scout Law, Scout Motto, Scout Slogan, and Outdoor Code are the foundation on which Troop 300 stands, and we make those ideals a part of our program. 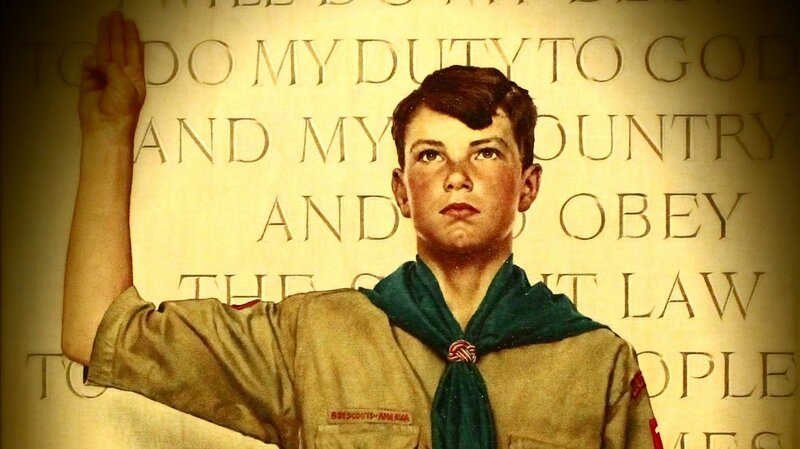 Over the time our sons are in scouting the words they express in the Scout Oath will become guides in which to set their lives. Scouting provides a great peer group for your son to grow up with, and the boys are great kids doing fun things. We make high adventure happen! We have 10 scouts and two adults headed to Philmont Scout Camp in New Mexico this summer. There are 35 different trek itineraries and choosing a trek involves looking at the hikes, camping, and activities available (and there's a lot of 'em!) then picking our top six. Which one we get is done by lottery where everyone submits at exactly the same time (at precisely 2:00 PM last Tuesday). Philmont awarded us with itinerary #7, our fourth choice. Our scouts will go rock climbing, hiking, climb Mr. Phillips and the "Tooth of Time", see some great camp presentations and do lots of activities. We had chosen light hiking treks so we had more time for activities, but we'll still log over 54 miles of trails. New Mexico, here comes Troop 300! Since newsletters have some details only for Troop 300 scouts and families, you'll find our newsletters under the password protected section of our site. Scouts and families can get the password at any of our troop meetings. Summer camp payment deadline is tonight!! Spring camporee signup deadline is tonight!!! Tonight is dedicated to getting ready for spring camporee. MAY 2019: Backpacking hike down the Russian River Lakes Trail System. We are also planning to do a day event and put canoes in the water, work on canoeing strokes, and start on the skills we will need to accomplish the Canoe expedition planned for mid-July. JULY 2019: Our Philmont expedition will leave for Colorado and New Mexico on July 4, and return on July 19. Our 50+ mile canoe expedition through the heart of the Kenai National Wildlife Refuge will take 6 days, and the details for that trip will be announced as it is finalized. Scouts going on both of these trips will have to have demonstrated they have the skills and ability and maturity to take on a wilderness expedition completely off of the road system. “Demonstrated ability” is the key to these high adventure trips. We are also planning a Water FUNDAY in July. AUGUST 2019: We are looking at a fishing expedition to Seward Alaska, with options for discounted charters and sightseeing and wildlife viewing cruises. I had a parent ask where the Journey to Excellence patch goes so I figured more parents were wondering. The patch goes on the right sleeve below the patrol patch. If your son hasn’t gotten a JTE patch, he can come see me at a meeting - we do have more. If you ever are in doubt on where patches/badges go, you can look in the Boy Scout Handbook on pages 20-23. Actually all parents should take a few minutes to look through the whole book. There is an amazing amount of information on all kinds of topics in it. Most important is towards the back of the book. Between pages 438 and 465 are pages for signing off rank requirements but also logs for leadership, training, hiking, camping and service projects. Every time you son participates in a troop event, hen should write in one (or more) of the logs. This way when he goes to a board of review, and they ask him what he has participated in, he can use that as a reference. In addition to monthly events and campouts, 2018 was a busy year for T300. We had patrols bike over 80 miles in the Denali State Park, travel to the Kandersteg International Scout Camp in Switzerland, and live on a sailboat at the Seabase Scout camp in Florida. Our scouts took to the road on bicycles for over 80 miles across interior Alaska! T300 sent an expedition to Seabase in Florida in the spring of 2017. Summer Camp went extremely well and dispite a bear in camp on our first and last day, no scouts were eaten, everyone had fun, earned lots of merit badges. Be sure to check out the troop Shutterfly photo site for photos and add more to the album if you've got them!. Troop 300 had a delegate of scouts attend Kandersten International Scout Camp this summer. http://www.kisc.ch/ to get a taste. If you want to be an assistant scoutmaster, you will need both the scoutmaster specific (can be done online but I suggest you do it in person) but also the in-person Introduction to Outdoor Leadership. When we have a group of you that want to do that, please let me know and we can arrange it. It will probably be offered at camp too. We are currently working on putting that together. So please check your youth protection training - I know a few of you are expired - and get it done so we can stay 100% trained. Scouts rise up through ranks as they earn merit badges for learning and experience a wide array of topics and activities. Meritbadge.org is an excellent resource. Troop 300 is scout-led with adults leaders for support. Scouts dream, plan, and run all events. Learn about leadership opportunities for all scouts. 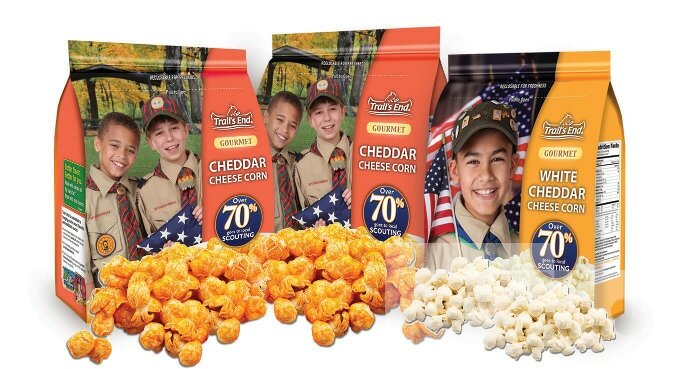 Scouts can sell BSA popcorn and coffee to raise funds to help them go to scout camp, buy gear, and other troop activities. Find out more.